England held on to beat Australia 7-23 to remain unbeaten under Eddie Jones and win their three Test series at AAMI Stadium in Melbourne. England outscored Australia by two tries to one but it was their defence that won the match as they made 215 to Australia’s 81. England beat Australia last week in the first Test so they have won two out of the three Tests and cannot lose the series. England have been on three tours with three Tests and this is their first series victory and also their first on Australia soil. Under Jones have now won eight matches and will move up to second place in the World Rugby standings as a result. The Six Nations champions, who conquered the formerly second-ranked Wallabies 39-28 in the opening Test in Brisbane, defended magnificently in the second half and then sealed the win through a late Owen Farrell try. 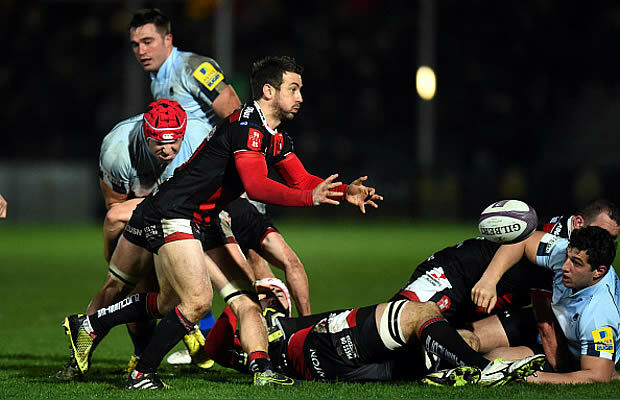 Farrell, who was shifted to inside-centre for the second game, contributed 18 points with his try, two conversions and three penalty goals. By winning England retained the Cook Cup and hoisted Eddie Jones’s side to second in the World Rugby rankings, some 259 days after flopping out of their own World Cup in the pool stages. England led by 10-7 at half-time, but had to defend for long periods in the second half as the Wallabies probed for the breakthrough try. But it never came, due to a combination of the Wallabies’ poor handling and England’s unyielding defence protecting their try-line. It was yet another tactical masterpiece by England’s Australian coach Jones, who again out-marshalled his counterpart Michael Cheika. The Wallabies scored four tries in last week’s defeat in Brisbane, but could only muster one this time through skipper Stephen Moore. 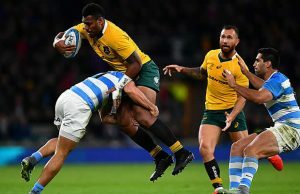 Feelings boiled over with a melee in the 12th minute after referee Craig Joubert had awarded a penalty to the Wallabies but reversed it after penalising Australia for foul play from the incident. England’s powerful pack struck first blood midway through the half when skipper Dylan Hartley scored off a rolling maul close to the Wallabies’ line for a 7-0 lead. The English supporters willed their team on singing ‘Sweet Chariot’ as the Wallabies made handling errors and struggled for field position. The English scrum showed their dominance by wheeling the Wallabies to get a psychological penalty to take play back into home territory. Farrell kicked England further ahead with a 31st minute penalty. But the Wallabies struck back with the Australian pack pushing over for a try for skipper Moore with Bernard Foley landing the conversion from wide out five minutes before half-time. The try spurred the Wallabies and they finished the opening half pounding the English try-line and only stout defence held them at bay until the Wallabies lost the ball metres out and England had a reprieve. England began the second half strongly again dominating field position and the Wallabies were finding it difficult to get out of their half. Foley was penalised after a linesman intervention and Farrell kicked England six points clear. 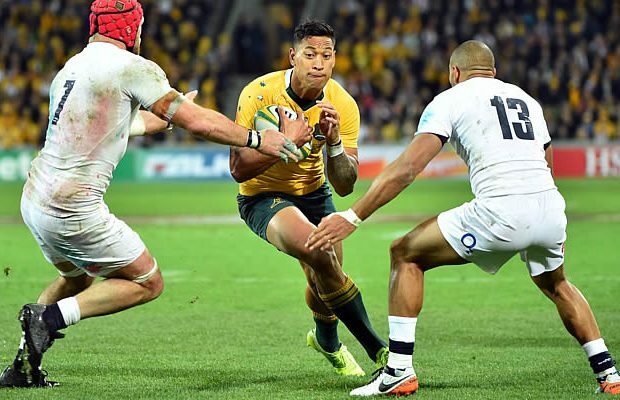 The Wallabies pressed the England but numerous handling errors cost them the chance to hit the front in the dogfight with England. The home side was camped inside the England half but resolute defence and handling errors prevented the Wallabies from scoring the crucial try as the clock ticked down. England clinched the game and the series when Farrell toed ahead a loose ball and won the chase to dive on the ball. He converted to put England out of reach by 13 points. Farrell kicked another penalty on the siren to ice the victory to huge cheers from the travelling English supporters. Former England captain Chris Robshaw was named man of the match in what was his 50th Test for England. The third and final Test is next week at Allianz Stadium, Sydney where Australia will look to salvage some pride with a consolation victory.